Everyone knows that college is expensive. Often, students have to take out loans to make obtaining a degree possible, leaving them wondering what they could do to pay down student loans faster. Having a significant debt load hanging over their heads is burdensome, affecting their ability to acquire other financial products and requiring a serious chunk of their income to be dedicated to repayment. Luckily, there are several unique ways to pay down student loans faster, even if your child is still in school. If they are ready to tackle their debt, here are some approaches worth exploring. Even if your child doesn’t have a degree yet, that doesn’t mean they don’t possess valuable skills that can help them make some extra money. Freelancing can be a great way to pay down student debt faster while giving your student more control over their schedule and work than they might get with a part-time job. Your child will need to see what sort of tasks align with their knowledge areas and preferences but, once they do, they may be surprised to discover just how many projects are available. And remember that this can also be a great way for students to gain experience and build their resume! For students in a field that aligns with the projects, it can make them more attractive to potential employers as well. While college students aren’t always flush with stuff, it isn’t uncommon to have some items that they no longer need as they transition to college. Selling items they no longer need to pay down student loans faster can not only relieve them of some of their debt load but also free them from things that they don’t intend to use in the future. OR, even better, could empty out their bedroom back home or the corner in the garage that they’ve claimed while gone! If they use an app, make sure your child doesn’t invite strangers into their home or dorm. Instead, consider setting up meetings in safe locations, like the parking lot of a local police department, to discourage would-be thieves from making a move. Online surveys have long been touted as a way to pay off student loans faster. While students won’t earn extra money quickly, it does offer access to a little something extra that doesn’t require much time or energy. Students do have to qualify for each survey, so they can’t necessarily do an unlimited number. However, these are easy to do while doing other things, like watching TV, so it can be a way to earn a little extra to pay down student loans faster whenever they have a moment. Similar to surveys, website user tests provide companies with insights regarding what does and doesn’t work well on their current site or a future redesign. One company, UserTesting, is easy to use and the tests can actually be a lot of fun. As students review a website, they use a microphone connected to their computer to provide real-time, unfiltered feedback about what they are thinking. The process is simple, and some large businesses use these services, so it can be interesting to be involved with helping some of the largest organizations develop better websites. The pay rate also tends to be higher than surveys, though most of the user tests take less than 15 minutes to complete, making them easy to squeeze in here and there. Most people have heard of bank and investment apps that round up your purchases to the nearest dollar and deposits the change into a savings or investment account. Now, there is an app that does just that but allows the money to be used to pay down student loans faster. It’s called ChangEd. All students need to do is create an account, connect their student loan and the bank account they use for purchases, and they are essentially all set. As a bonus, parents can open accounts and attach their child’s student loans to their account, letting them contribute their change to the cause too. There is a small monthly service fee of $1 to support the app, which is taken from the change balance you accrue as you make purchases, as this allows them to facilitate the payments and handle the administrative burden associated with maintaining your account. Another great option is rebate apps. After your child makes a qualifying purchase, they scan their receipt into the app and claim a rebate. Then, once their balance is high enough, they can cash out (usually a PayPal payment) and can apply that money to their student loans. Many large universities conduct research, and they often need volunteers to help out. Often, participants in a study are compensated (though this isn’t always the case), allowing your student to earn a little extra money to help pay down student loans faster. However, they do need to take care regarding what studies they join. Certain medical-oriented studies may come with a range of risks, so those should be thoroughly evaluated before they sign up. Student loans often come with long-term repayment plans which can make the payments feel manageable. However, the longer your child maintains a balance, and the higher that balance is, the more interest they pay over the life of the loan. Even small additional payments can make a big impact, shortening the amount of time required to repay the loans and allowing them to free themselves from the burden more quickly. Any efforts to pay down student loans faster are worthy pursuits, ensuring that their financial future is brighter than it would be otherwise. 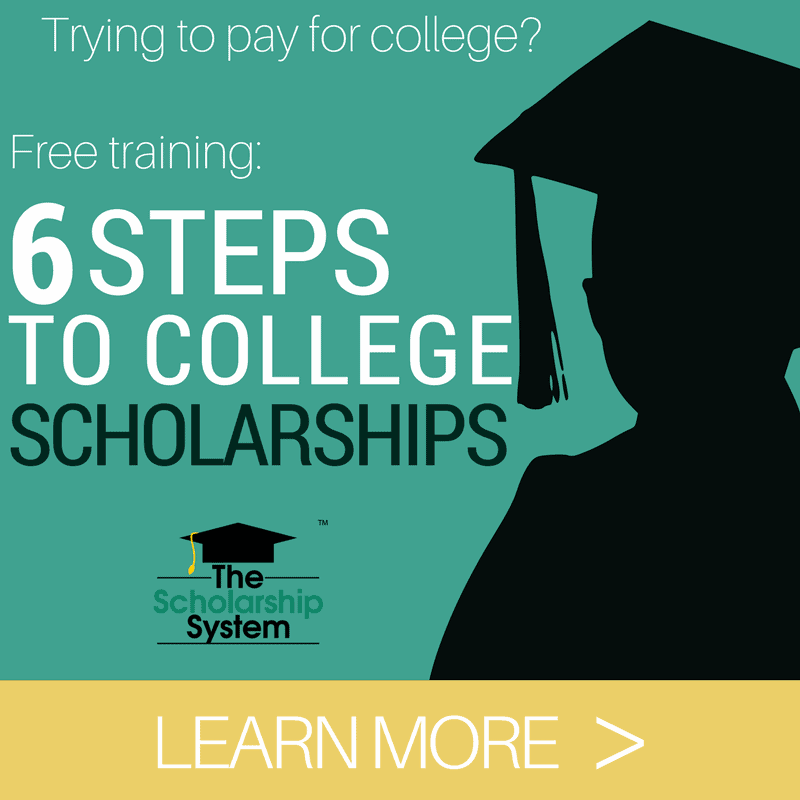 Of course, it’s important to remember that students can always apply for scholarships all the way through college years – meaning they should do so until they graduate from COLLEGE.